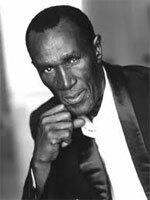 Henry “Black Cat” Cele was born on 30 January 1949 in KwaMashu, Durban, South Africa. As a member of the Cele family he was referred to by his clan name Ndosi (Bavela KwaMthetwa), or Magaye. • Henry “Black Cat” Cele Biography, Public Contribution from JT Communications, Biographies from the Siyabakhumbula Awards, 2011.